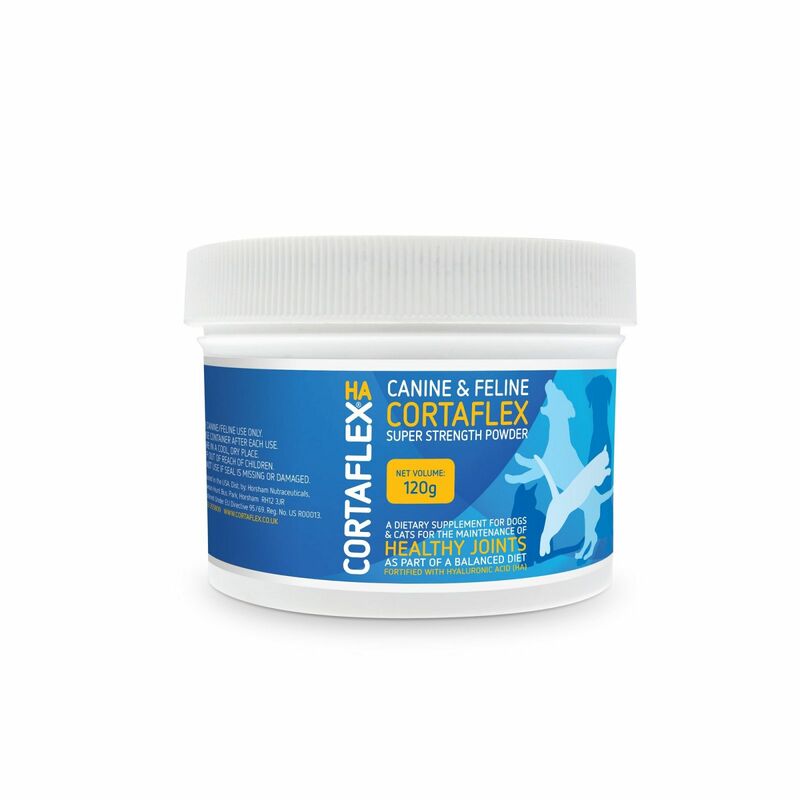 To prolong joint mobility, feed Cortaflex® HA sooner rather than later, especially those breeds with associated weaknesses - even 6 months old isn’t too early to start. A 120g container will last the average dog 3 months, It is also recommended for general care or the management of stiff joints, or to maintain condition in later years. Wear and tear can be exaggerated by breed conformation and growth spurts. Feed young animals, especially those breeds with associated weakness, Canine & Feline Cortaflex® as part of their daily routine to support healthy joints for life. Cortaflex is easily mixed into your pets daily feed and needs to be fed every day as a supplement and not just once a week.